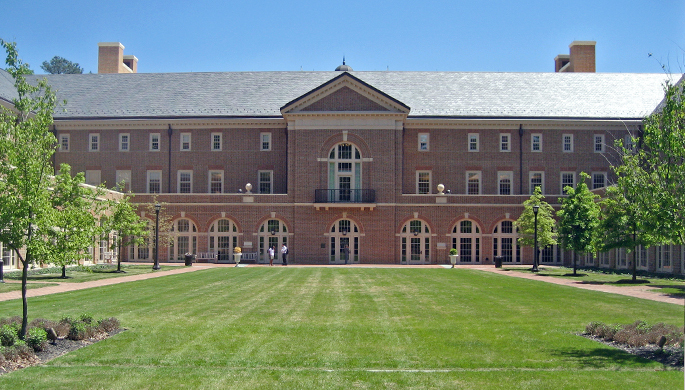 For nearly four centuries the College of William & Mary has been driven by distinctive ideals of service, entrepreneurship and innovation in educating forward-thinking, ethically minded leaders. As the business climate in the U.S. and global markets evolve, the Mason School of Business of the College takes students farther, faster in what matters most in leading the next great business revolution. At the dawn of another century, students of the business school of the nation’s “alma mater” emerge with a perspective and experiences that combine commerce, integrity, and hard work to change our world for thebetter. Applicants to Mason must submit: official academic transcripts for all undergraduate and graduate work; an official GMAT score report; letters of recommendation; three personal essays; and a resume. Interviews are required and are by invitation of the school only. International applicants whose first language is not English must submit official sco...Applicants to Mason must submit: official academic transcripts for all undergraduate and graduate work; an official GMAT score report; letters of recommendation; three personal essays; and a resume. Interviews are required and are by invitation of the school only. International applicants whose first language is not English must submit official score reports for the TOEFL, the IELTS, or the PTE (applicants scoring in at least the 60th percentile on the verbal section of the GMAT and at least a 5.0 on the AWA section of the GMAT are exempted from this requirement). The following section features data representative of the entire business school, and numbers here are not necessarily reflective of the specific program. Mason recently moved into a “new 166,000 square foot facility” that students say is “fan­tastic.” “The study rooms or the conference rooms are comparable to the offices in any high-tech company,” one student writes. Within the building’s confines, “students are heavily involved in projects that originate in the classroom but often move to the week­ends and off time. This is balanced with social events, intramural sports, clubs, commit­tee involvement, and community service.” Clubs “ranging from community service to marketing” are “student-run and all give us experience trying out real-world situations.” The student body forms a “small community…with a high level of cooperation and teamwork and very little of the competitiveness rumored at other business schools.”William and Mary is located in Williamsburg, Virginia, a “historic, safe, and picturesque” town “small enough that you go out and see your classmates and enjoy getting to know them in a non-professional setting” but with “great access to both large cities within an hour-and-a-half drive or a great oceanfront within an hour-and-a-half drive.” Regardless of where they are, “students find a way to make it fun. Whether having mug night at the Greenleaf, or celebrating Diwali with the Indian students (with professors dancing! ), or the Chinese New Year with the Chinese students, or random intramurals, hanging out at Miller Hall, or just having a conversation, I am thoroughly enjoying my experience here,” one student writes. Placement and recruiting services at the Mason School of Business receive mixed reviews from students. Some praise the “high quality of jobs and high job placement” and con­clude that the “program is exceedingly strong,” others are less complimentary. A com­mon complaint focuses on the fact that Mason “is a small school” in a location that isn’t “ideally placed to attract MNC’s and conglomerates to recruit here,” putting the school “at a disadvantage when it comes to on-campus recruiting. Most companies focus on larger schools. Therefore, we need a more robust career services department to help mit­igate the disadvantages that go along with that.” To boost prospects, the school recently rolled out two new career services programs, MBA CareerPrep and Corporate Relations, which incorporate career development and employer contact into the business school curriculum. The programs include regional “recons’ where MBA students are connected with corporate recruiters in a variety of regions. Top employers of Mason MBAs in recent years include: Booz Allen Hamilton, Capital One, Dominion Resources, Ernst & Young, Target, Amazon, AT&T, Bank of America, Deutsche Bank, Genworth Financial, Deloitte Consulting, Saatchi & Saatchi X, and Wachovia. One in four 2010 MBAs found work with the government; 15 percent took jobs in the finance sector; and 27 percent entered the consulting business. The College of William & Mary, founded in 1963 is the second oldest educational institution in the United States. Alma mater of three presidents (Thomas Jefferson, James Monroe and John Tyler) and countless other Republic luminaries, the College offered its first business class in 1798. The College established the Master of Business Administration in 1966. The Mason School of Business has deep roots in the history and traditions that have made the College of William & Mary one of the most distinguished liberal arts universities in the nation. The McLeod Business Library, located in Miller Hall, offers reference materials and services to support all academic programs offered at the Mason School of Business. The library holds current business publications, reference books, reserve materials, a collection of DVDs/videos, and access to more than 30 business databases. Graduate students have access to databases remotely, with a limited number of databases being available only on location. We subscribe to the following databases: Accounting Research Manager, Audit Analytics, Baseline, Bloomberg, Business Monitor International, Checkpoint, Choices 3, COMPUSTAT, CRISP, CUSIP Master File, DataMonitor360, EBSCOhost Business Source Complete, Factiva, FaulknerÂ’s Advisory for IT Studies, First Research, HooverÂ’s Online, IBES, MarketResearch.com Academic, Mergent Horizon, Mergent Online, Mintel Oxygen, Morning Star, OneSource, Plunkett Research Online, ProQuest ABI/Inform Global, Reference USA, S&P Research Insight, Standard Rate and Data Services databases (8), Thomson One Banker, Value Line Investment Survey and many others. The Mason School of Business has a diverse international community. The International Student Association (ISA) serves as a support system for international students who become a part of our Mason family. The ISA organizes various social and educational events to support and enrich understanding of cultural and national diversity existing in the business school. The ISA is a platform for international students to voice their opinions on various issues in the business school. ISA also provides resources to help international students in their career building activities. Currently, the ISA represents individuals from more than 20 nationalities. The College of William & Mary as a whole offers support for GLBT MBA students through Safe Zone. Safe Zone ensures a safer and freer environment for all members of the community regardless of sexual orientation or gender identity. Other campus-wide support groups, clubs and organizations include The Lambda Alliance, William & Mary Gay and Bisexual Alumni, The Mosaic House and the CollegeÂ’s Counseling Center. The William & Mary School of Business has established a diversity committee under the auspices of the MBA Association that supports recruitment outreach and networking opportunities for diverse candidates. MBA students are active in professional associations including the National Black MBA Association (NBMBAA), National Society of Hispanic MBAs (NSHMBA) and the National Association of WomenÂ’s MBAs (NAWMBA) and they participate in associated activities throughout the year. The collaborative Mason School of Business community fosters an environment that encourages teamwork and peer tutoring. Second-year MBA students, serving as Graduate Assistants, work with first year students to provide tutoring. General study sessions, small group in-depth review and individual tutoring are all provided to support students and enhance the learning experience. Accessible faculty, whom are focused on teaching, also encourage peer collaboration. The McLeod Business Library, located in Miller Hall, offers reference materials and services to support all academic programs offered at the Mason School of Business. The library holds current business publications, reference books, reserve materials, a collection of DVDs/videos, and access to more than 30 business databases. Graduate students have access to databases remotely, with a limited number of databases being available only on location. We subscribe to the following databases: Accounting Research Manager, Audit Analytics, Baseline, Bloomberg, Business Monitor International, Checkpoint, Choices 3, COMPUSTAT, CRISP, CUSIP Master File, DataMonitor360, EBSCOhost Business Source Complete, Factiva, Faulkner’s Advisory for IT Studies, First Research, Hoover’s Online, IBES, MarketResearch.com Academic, Mergent Horizon, Mergent Online, Mintel Oxygen, Morning Star, OneSource, Plunkett Research Online, ProQuest ABI/Inform Global, Reference USA, S&P Research Insight, Standard Rate and Data Services databases (8), Thomson One Banker, Value Line Investment Survey and many others. William and Mary MBA students can broaden their global perspective by engaging in the International Business Practicum elective, which offers a 10-15-day trip to Southeast Asia (Vietnam, Cambodia, Thailand and Singapore), China or Brazil provides the opportunity for ernational business exposure. In the second year of MBA studies 10-day trip is offered to India. These global business experiences are faculty-led and include company visits, alumni meetings and cultural activities. The National Association of Women MBAs (NAWMBA) develops and promotes leadership by creating opportunities for women to establish and achieve their professional goals. NAWMBA generates awareness of the role of female professionals in business and provides forums to share their perspectives and issues. NAWMBA offers excellent opportunities to network with other William and Mary students and visiting guests through its formal events and informal gatherings. The organization also hosts national career fairs and forums, in which our students participate. C. Michael Petters, MBA '93 - CEO, Huntington Ingalls, Inc.
Want more info about College of William & Mary, Mason School of Business Part Time MBA? Get free advice from education experts and Noodle community members. Bloomberg Businessweek is a weekly business magazine published by Bloomberg L.P. created to provide information and interpretation about what is happening in the business world. Mba.com is the first-stop source for tools and advice for graduate management school candidates.